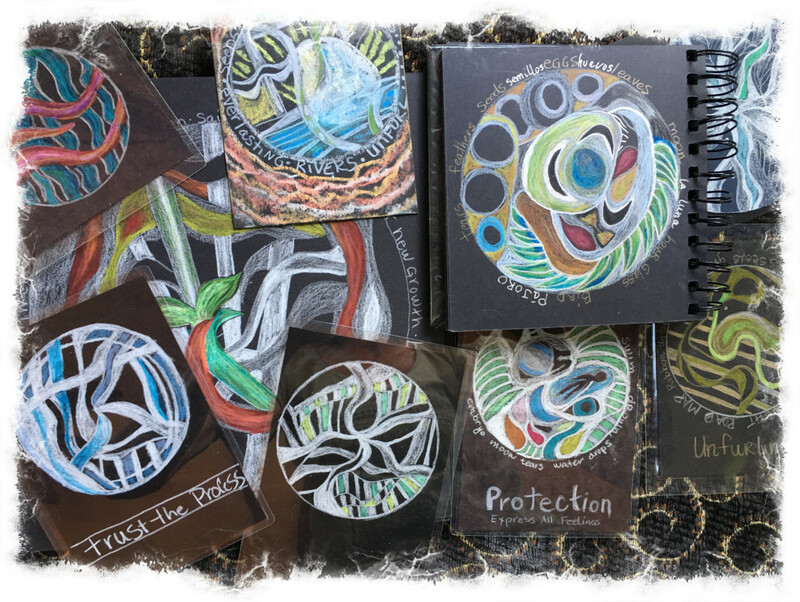 artmaking, Creations, Journal, Process, Why Art? In the depths of troubling, disturbing times, finding inspiration feels hopelessly overwhelming. Darkness is casting its troubling shadow around the world. There are so many things to be upset and concerned about – So much anger – So much violence – So much distrust – So much frustration – So much division – So much disappointment – So much despair – So much inequity. I am distraught and overcome with grief. 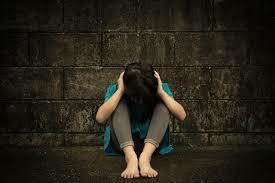 A sense of helplessness clouds my vision and I am uncertain of how I can make a difference. Finding inspiration seems irrelevant and making art seems trivial. This is a completely different feeling than experiencing creative block. Finding Creative Inspiration in the words of poets is one of my mainstays. 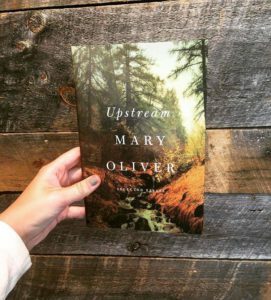 Reading Mary Oliver’s newest book of selected essays, Upstream, I was struck by the following lines. Ok, so my tiny nail in all of this overwhelming mess is to continue to make art, to continue to teach art making as a way to heal and grow and thrive, and to continue to build a community that embraces mindful art practices that ushers us all into living fully engaged lives. That is my job so I got to work. 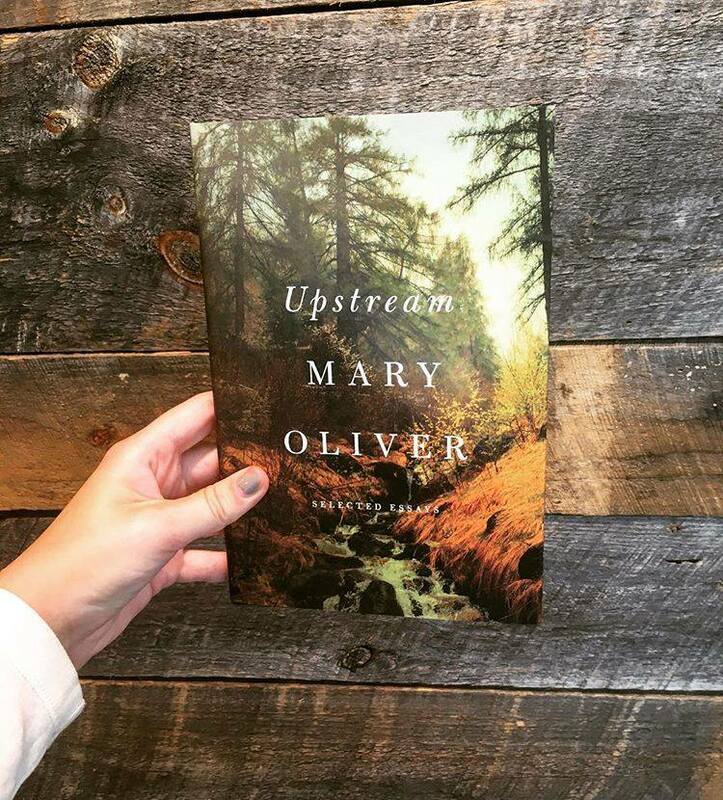 Thank you Mary Oliver for getting me out of my creative funk. It was cathartic to slather these white canvas with black gesso. I do not remember when I first painted a handful of white canvases black. But there they were stacked up in a corner of my studio. Unsure of how to start, I thought of painting them white again as there was already so much darkness consuming our world. 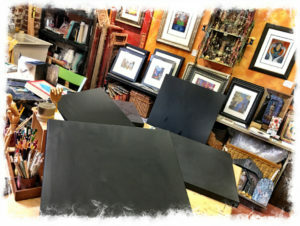 Instead I ended up painting more canvases black. There was something that felt really good about that. All year long, I’ve been breathing, thinking, and making mandalas. This is partly due to an on-line eCourse I’m developing. 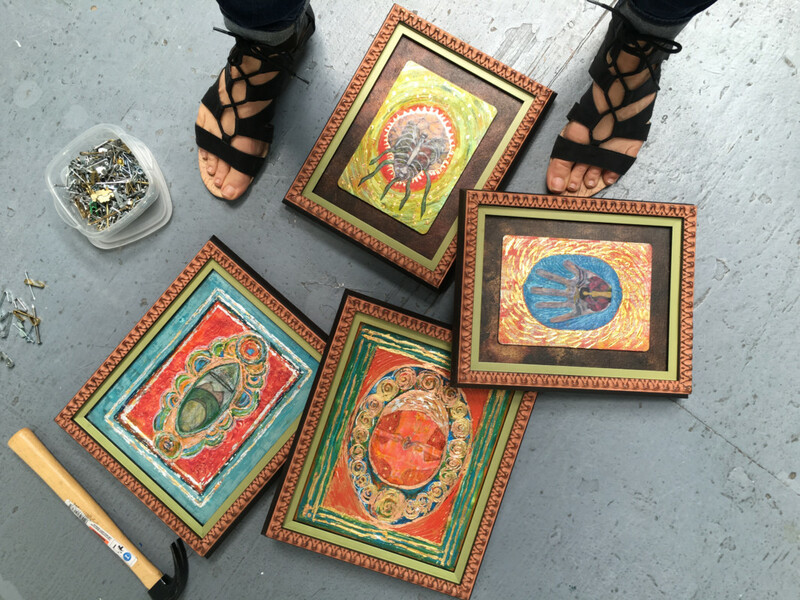 Creating Brave: Mindful Mandalas is an eight week class on how to use mandala-making as a form of stress reduction and healing. 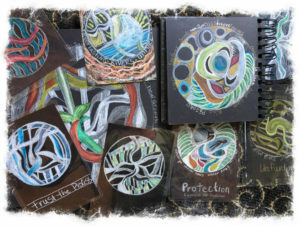 But making mandalas is nothing new to me as I have been creating these circle drawings for my own private use for many years. My mandala practice is a way for me to play, unplug, de-stress, unwind and get lost in the creative process. These small drawings are daily sketchbook doodles. Sometimes I use the app, Bamboo Paper, on my IPad to drawn them when I don’t have my supplies on hand. As I draw and scribble, thoughts come to mind and I write these down within the mandala. I wander around in my brain. I release things. I discover things and I always feel better after I create one. Now seemed like the time to take my private mandala practice into my public art making. 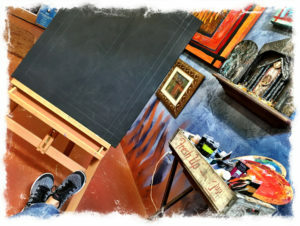 I am used to staring at a blank white canvas or a white piece of thick paper, but this large black canvas, well I was at a loss of what materials to use and how to begin. So I sat for a day, just staring. Inspiration struck in the middle of the night – mark off the canvas with wide bands that can accept words. Begin by writing. Write whatever comes to mind and see where it leads. Use a white china marker. I could not wait to get to the studio and begin. The writing came easily as this is something I usually do within my art making practice but usually it is at the end of creating, not the beginning. I began with phrases such as ‘How do we go forward when….” or “So now is the time to…” Using the white waxy china marker to record my words made the letters seem more like marks and patterns than legible expressions. 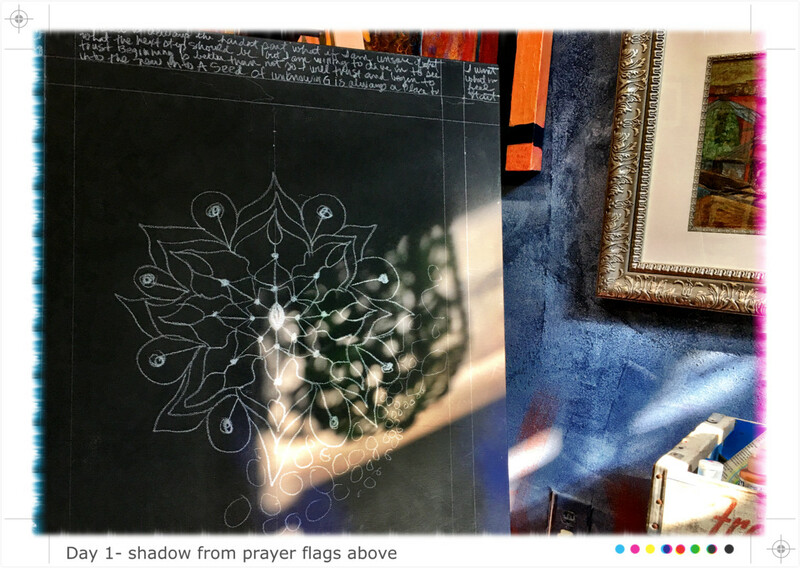 The late afternoon sun poured in through the tiny window of my studio, casting a beautiful pattern on the canvas. 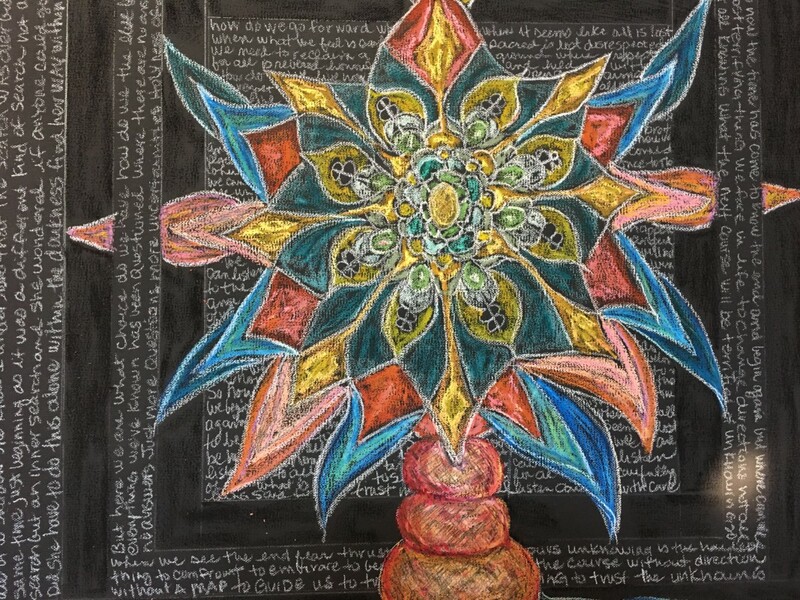 It was then that I decided to a draw a radiating mandala starting in the center of the canvas and work outward. As I began, I wove in and out of drawing and tracing the cast shadows. Slowly I realized these patterns, these shadows were being cast by the prayer flags that grace my studio’s ceilings. 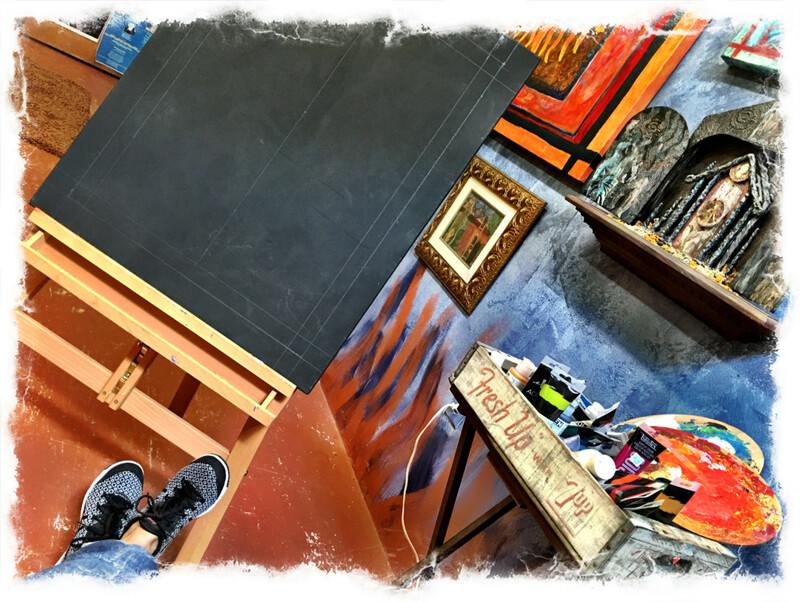 I stopped, took a deep breath and looked around my studio. I saw Beauty. Courage. Protest. Confidence. Bravery. Perseverance. Hopefulness. Dedication. Education. Communication. Protection. The times we are living in are ominously troubling. For now, I have found some creative inspiration in painting fierce light and color into the darkness. These paintings are a testament to the courage, and fortitude needed to face what is in front of us. Finding inspiration in troubling time is a matter of trust. Where and how do you find creative inspiration in troubling times? Silencing our inner critic takes years of practice. My Creative Block, My Fierce Inner Critic usually shows up when I’m wearing too many hats and just squeezing in studio time between all the other demands of a wonderfully full and rich life. It happens when I am worn down and bone tired. When “The Funk” malaise settles in and my creativity becomes frozen. The voice of my Creative Block is tireless and repeats phrases like – “This stuff is crap and it is going to end up in the land fill anyway so why waste your time. Do something productive. 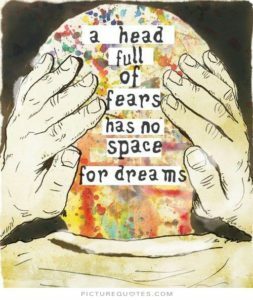 This is all so self-indulgent.” Behind this voice is fear of failure. Life is too short to let fear make decisions for you! If you haven’t read Elizabeth Gilbert’s newest book, Big Magic, she has a terrific section on all the negative things we say to ourselves that keep us frozen. Needless to say, when I find myself in this icy land of unworthiness, I get discouraged, and set aside whatever I am working on. This usually makes matters worse because the creative process feeds me in a way that nothing else does. I always return to my studio table in a terrible funk, wondering what on earth is wrong with me. 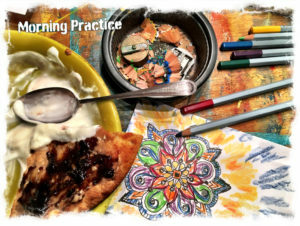 When I settle down into the process, I usually find my way into whatever prompted “the funk.” When things are not quite speech ready, when the messiness of life rumbles just below the surface, my practice of art making usually rescues me. Over the past year, I’ve created some artwork that I just couldn’t seem to finish. Creative block strikes again. 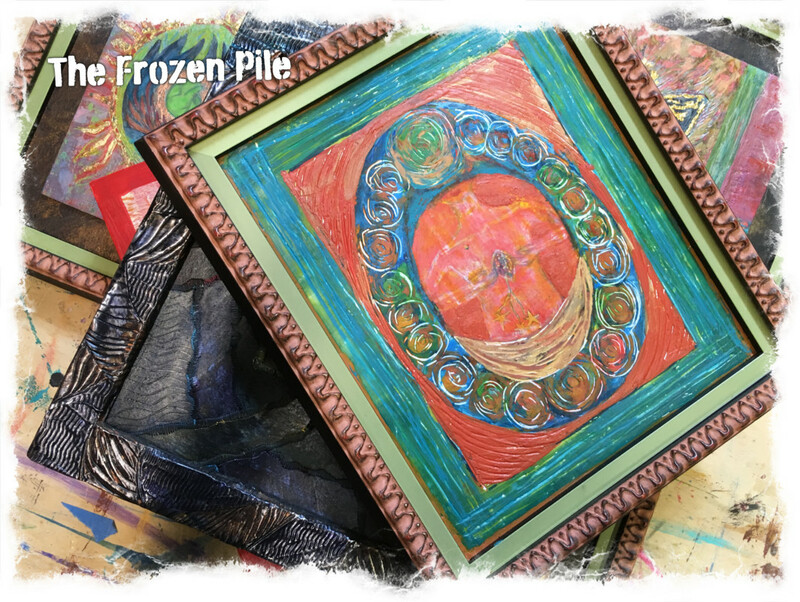 I refer to them as my frozen pile, my works-in-progress. There are a handful of encaustics that I just couldn’t quite wrap up, a few paintings needing something, and some mono-types begging for more attention. Rilke’s words of wisdom became my creative mantra. But the questions were going on way too long and I was becoming frustrated and blocked. I felt frozen. Maybe the best place for these frustrated artworks was the sacred BONFIRE, something I have always wanted to do but haven’t had the nerve. It seemed too murderous. 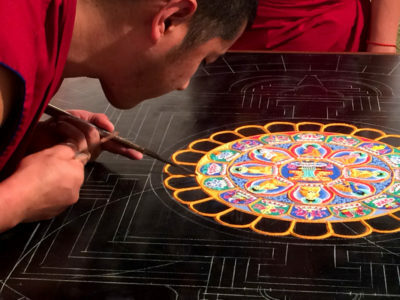 My thaw began slowly in November when two Tibetan Buddhist Monks came to Columbia to create a Sand Mandala for Healing Icons 20th Anniversary. Witnessing this incredibly patient and intricate process made me realize I simply needed more uninterrupted studio time. My hummingbird approach to making art was just not working. I needed larger chunks of devoted time. I also fell in love with what they created. The sand mandala of healing was full of vibrant colored, patterned symbols that literally pulsated with energy. I wanted my art work to have that same life force. 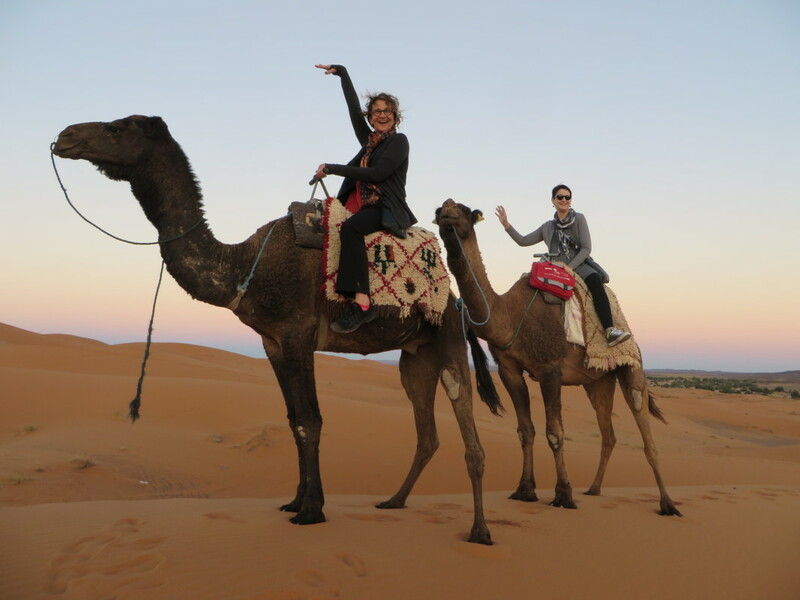 My journey to Morocco, a couple weeks later, further enlivened my lackluster creative self. As one who has always been filled with wanderlust, I love the challenge of stepping outside my comfort zone into a different kind of breathing space where my senses open into things I have never seen, smelled, heard or tasted before. Morocco did not disappoint. It is a country brimming with wild contrasts – the modern and the ancient living side by side. The fortune tellers, magicians, gypsies, snake charmers, minstrels, and storytellers, live within “modern” Morocco. The overwhelmingly chaotic serpentine souks (markets) of Marrakesh and Fez are the perfect fusion of color, energy and vibrancy. It is palpable. My creative side was charmed, soul and spirit enchanted. When I returned to my frozen pile of Works-in-Progress, I knew that the end of 2015 had paved the way for me to breathe life into the unanswerable questions. Gold, Copper and Silver leaf have become my saviors.